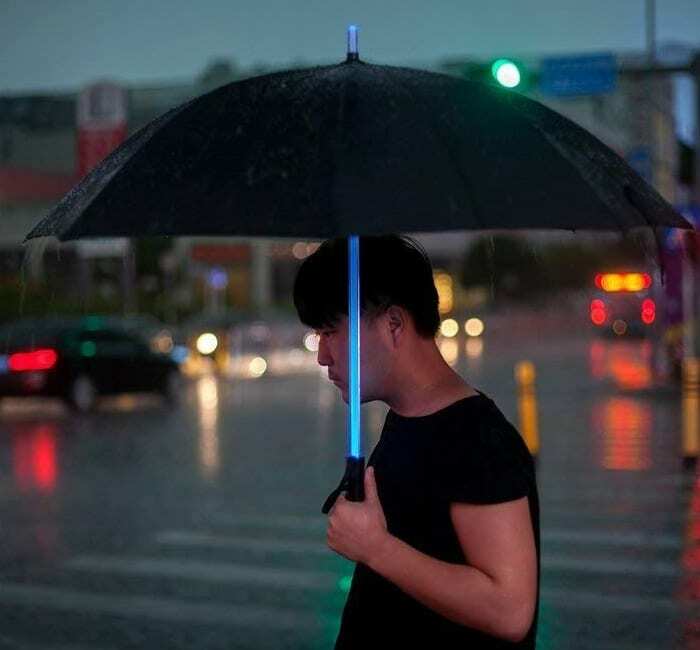 STAR WARS UMBRELLA?The force awakens blade runner laser sword led lightsaber umbrella, creative and attractive with 7 LED color options.The flashlight function allows you to become the focus of everyone at a rainy night.
? WINDPROOF LIGHTWEIGHT UMBRELLA?Protect yourself from rain, hail and snow. LED Shaft/flashlight option increases visibility.Has a comfortable handle for your convenience during use and travel.
? MAKE YOU DIFFERENT?Futuristic black umbrella with LED light-up shaft,flashlight function on the bottom.Safe in the rain and dark street. 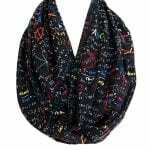 Also can be used as an ordinary rain umbrella.